From the moment you first tell somebody that you are interested in learning about car maintenance, everybody's an expert. Whether it’s your parents telling you all about keeping your eye on the fluid levels and how to change them, a friend telling you all about their experiences with car maintenance and horrid mechanics, right through to a colleague at work who once watched an episode of a mechanic based show and now they are certain they are mechanics themselves. And as helpful as (most of) these lessons are, when you ask about a boat engine, it’s largely just blank faces. 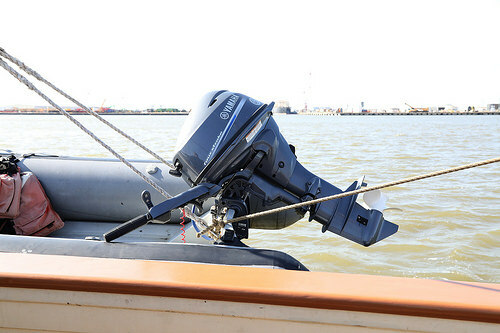 If you are lucky enough to be in the position to buy a boat, even the most basic of boat’s with a basic marine engine and are looking for some beginner advice on some of the primary operating differences between a car’s engine and the one about to power your boat, Progressive Products has the following post to share. The last time that you drove to the store to pick up some groceries, could you hear a screaming sound coming for your engine? How about while you were making your way around the city to complete your errands? Not even while you were on the freeway cruising along during a road trip? The reason why you don’t hear a screaming noise during these instances is because your engine has a range of gears to choose from, allowing it to give you the torque you need alongside being able to be given a reprieve. If you can think back to the last time you were on a boat then it’s a little different. You could hear nothing more than the roar from the engine getting louder and louder until...it just got louder! This is because a basic marine engine runs at a consistently high RPM because it doesn't have the range of gears to choose from. Of course, you see many boats operating with engines working perfectly fine. And it’s true that a basic boat engine was designed to perform a basic function at this RPM. However, it wasn’t designed to perform the task alone. While marine-focused grease protects the externals of the genuine, marine-focused engine oil gets to work to take care of the internals. Making its way into each crevice inside the engine and its parts, a high-quality engine oil works to reduce friction in your engine and facility smooth interaction and operation. Put simply, it helps to keep your engine running at high RPM for longer so that you can enjoy the water and your vessel. Click here to buy AMSOIL 10W-40 Synthetic Marine Engine Oil and give your marine engine what it needs to stay out on the water for longer. To find out more about this or any other AMSOIL product, speak with an expert at Progressive Products by calling (425) 483-2582 or check out the online store for further information. When was the last time that you saw your car’s temperature gauge move higher than the halfway mark? Maybe you’ve seen it happen once in your motoring history? The primary reason why your engine is able to maintain such a balanced operating temperature is thanks to your radiator. Whether you filled it with water or coolant, you can bet that it, along with the fan, are working hard to keep your engine as cool as possible. However, a boat doesn’t have such an offering. And to make it worse, unlike your car which you would usually park undercover in the shade when you aren’t using it, your boat is out in the water with you with the engine exposed to constant sunlight. For this reason it’s important that a boat owner chooses the right engine oil for their engine. For example, a conventional based engine oil isn’t likely to be able to handle extreme temperatures or long duration of operation leading to restricted use of the craft. General maintenance and a good synthetic oil change can be all it takes to keep your boat in good shape and you and your friends on the water for longer. To find the right products for your engine needs, speak with Progressive Products at (425) 483-2582. Of course, with a range of high-quality AMSOIL products available, be sure to speak about any of your other vehicles or engine in your garage.